All it takes is Faith, Trust and Pixie Dust, and maybe a nice cup of tea too! Inspired by the much loved fairy from Peter Pan, this Tinker Bell Mug is perfect for a princess and makes a great gift for any occasion. 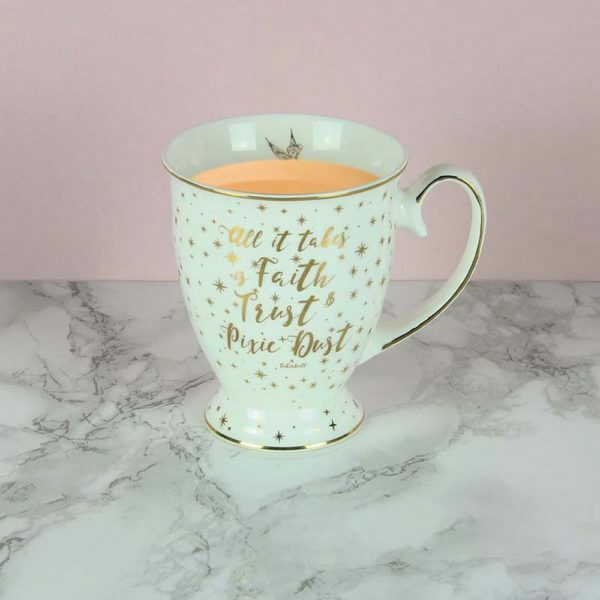 A white porcelain mug with metallic gold design details, the Tinker Bell Mug features the iconic quote ‘All it takes is Faith, Trust and Pixie Dust’. As an officially licensed Disney product, the Tinker Bell Mug is a great gift for any fan of the magical world of Disney.